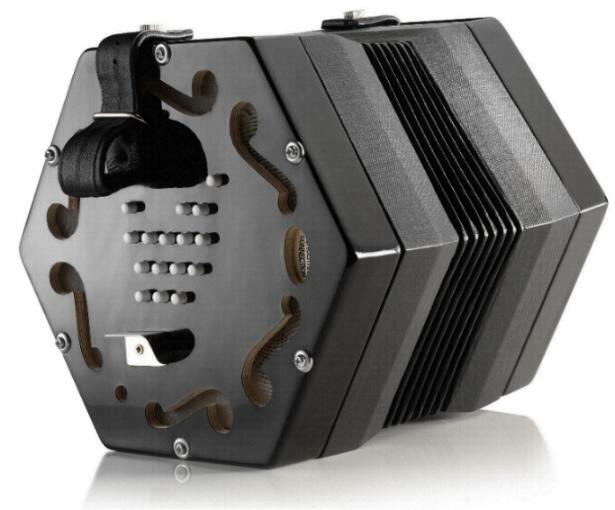 The Jackie English Concertina-A beautifully made treble 30 key English concertina, designed and made by Concertina Connections. 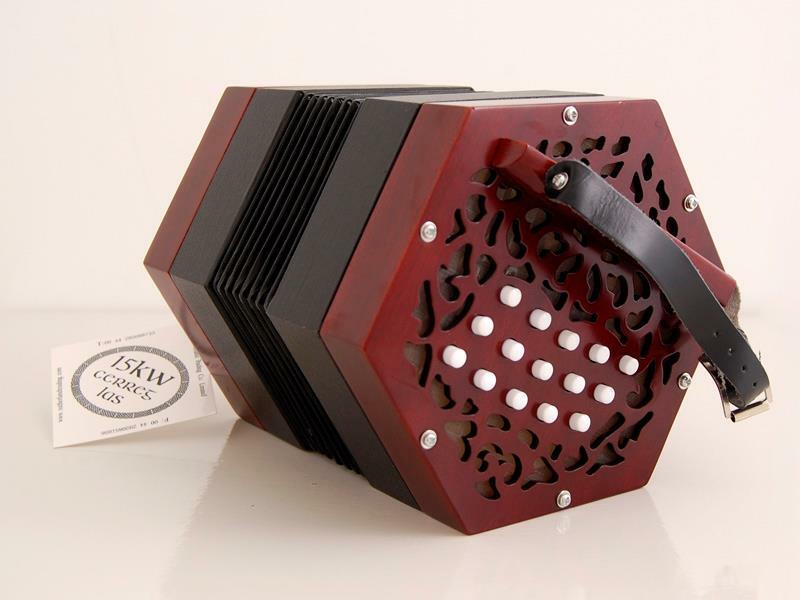 The Jackie English Concertina has been developed for beginners and intermediate players but is capable of meeting the demands of more experienced players. 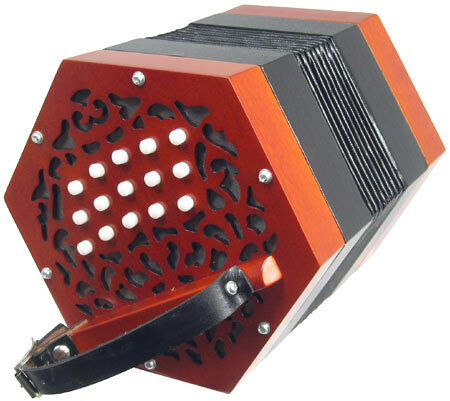 and has had great reviews where ever it is seen or played.This is by far our largest selling English concertina. 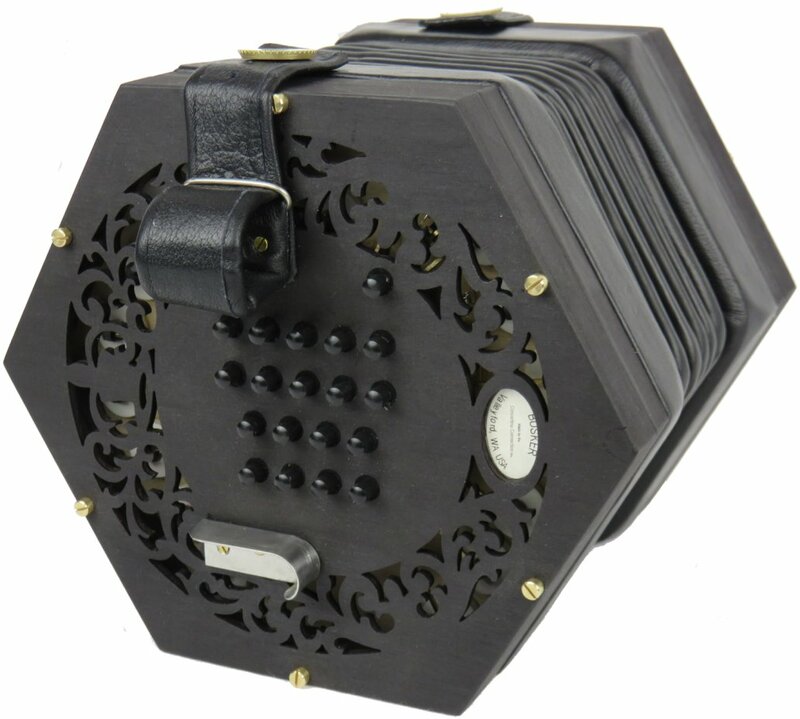 The concertina comes with a traditional English concertina layout,, spacing, key sizes,6 bellow folds and traditional thumb strap. The instrument comes complete with padded gig bag and a 47 page instrument tutor written especially for this instrument. This easy to understand tutor comes with instructions on basics of playing the English concertina and notes on music notation and music theory. FREE DELIVERY within mainland UK. For each button, the same note plays on the push and pull of the bellows. It is fully chromatic. On a 48-key Treble instrument, the range is similar to a Violin from G to C three and a half octaves above. The scale is played by alternating between the ends, which makes it easy to play fast runs. 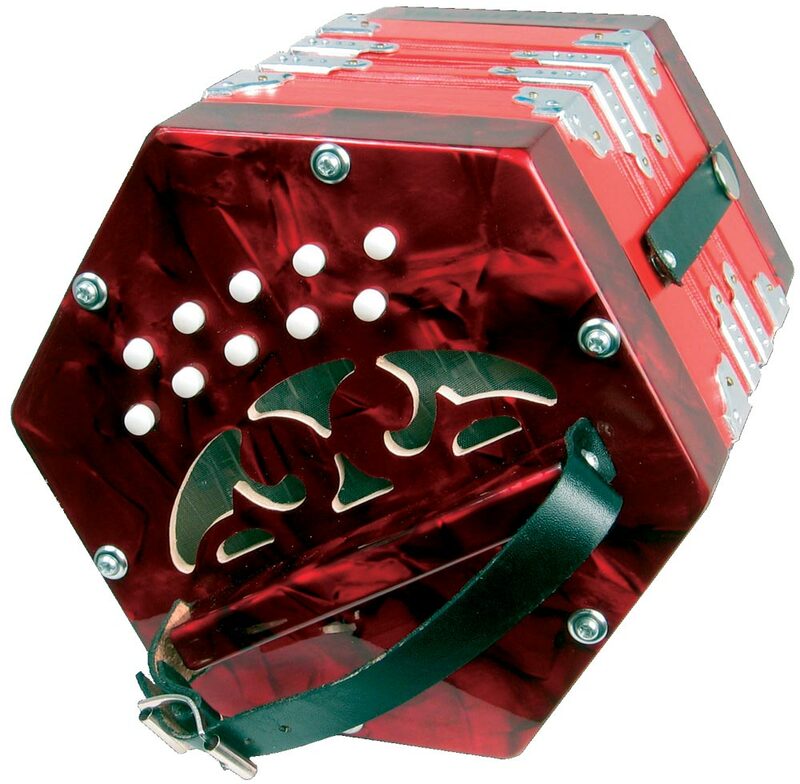 Block chords are easy to build up, and the English Concertina is excellent for song accompaniment. The Tenor extends the range down to C, but loses the upper range, the Tenor treble covers the whole range from C to C, and the Baritone has a range one octave below the Treble. Well known players of this system include Alf Edwards, Alistair Anderson, John Townsend, & Damien Barber. A FEW HELPFUL HINTS FOR THE CONCERTINA OWNER. 2/Broken springs look for keys lower than usual. 3/Lever catching on end plate.